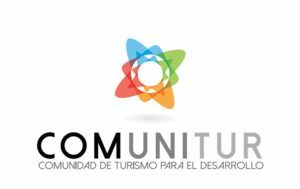 COMUNITUR is a network of professionals working collaboratively on initiatives focused on local tourism development linked to sustainability, ethics and responsibility. Five hashtags which best describe COMUNITUR? Advisor on tourism and development. Currently the Representative for Colombia of the Canadian Executive Services Organization – Canadian Executive Service Organization CESO-SACO and Representative for Colombia and Ecuador for the Global Sustainable Tourism Council – GSTC, for which she also conducts trainings. Natalia is leading the development of COMUNITUR. She studied Finance and International Relations at the Universidad Externado de Colombia, and holds a Master’s Degree in Environmental Intervention from the School of Social Psychology at the University of Barcelona, ​​Spain. 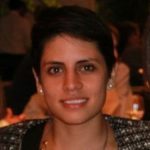 Natalia has worked in Colombia, Peru, Ecuador and Spain, both with private and public sector organizations, local communities and NGOs; with more than 10 years of experience in tourism, development and international relations. Natalia Naranjo Ramos is associate professor at the Universidad Externado in Colombia, where she teaches public tourism policies and international conjuncture analysis for the Faculty of Tourism and Hotel Management. She has experience organizing events, training rural communities and has been a speaker at various national and international conferences. Read our interview with Natalia Naranjo Ramos here. Project Officer in Colombia for CESO-SACO (Canadian Executive Service Overseas) and member of COMUNITUR – Tourism community for development. Professional in Tourism and Hotel Management, bilingual, with knowledge in sustainable tourism development, destination management, tourism planning and community tourism research. Passionate about working on projects related to the sustainable management of territories, responsible tourism and local development. Through projects, voluntary contributions, donations to projects, visiting and buying products from the communities. We believe in coordinated collaboration according to the interests of the host communities, which direct our collective efforts towards common objectives. Teamwork and coordination are essential for effective implementation of actions in favor of sustainability, and which contribute positively to the development of regions, both economically, environmentally and socially.